CarGurus has 18,806 nationwide Yukon listings starting at $1,995. The 2012 GMC Yukon offers premium luxury, truck utility and car comfort. Too-light steering and a too-thirsty engine are small weak points in the 2012 Yukon. The full-size luxury SUV category is a strange one, with consumers willing to sacrifice some of the base tenets of the truck for some luxury underpinnings. If that’s the aisle you’re shopping in, the Yukon can deliver this blend with few painful compromises. If GMC fixes the steering and can manage to improve efficiency without falling back on hybrid tech, there’s no reason the Yukon can’t survive the great SUV die-off. Full-size SUVs are becoming increasingly rare, which serves only to make them all the more imposing when you come across them on the road. With manufacturers increasingly abandoning the full-frame truck layout for crossover dominance, the Yukon presides over an ever-decreasing pile. For 2012, the SLT trim gains heated leather seats, but otherwise things remain quite the same. 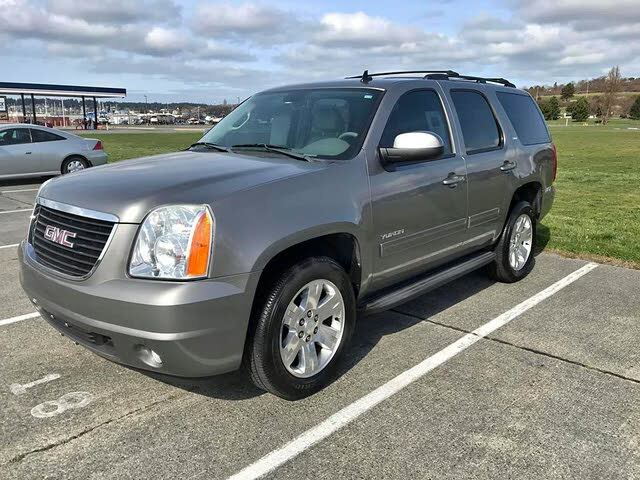 Available in two trim levels, the Yukon can also be had in extended-wheelbase XL and luxury Denali models, although those are covered as separate models. Here, both trims are powered by a 320-hp 5.8-liter V8, humbly called a “base” engine. 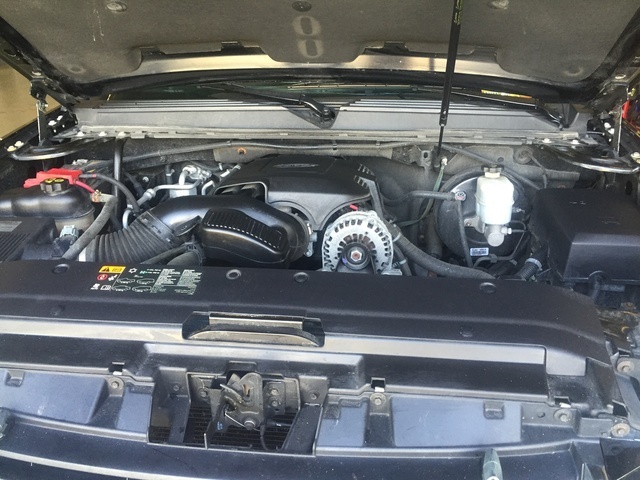 The Vortec 5300 powering the Yukon offers 320 hp at 5,400 rpm and 335 lb-ft of torque at 4,000 rpm. It might be the baby of the family when compared to its 6.2-liter brother, but a 5.3-liter V8 is nothing to sneeze at, especially with an 8,500-pound towing capacity. This Vortec is part of the FlexFuel family and can run on E85, although efficiency is impacted negatively. While the 5.3 can manage 15 city mpg/21 highway on regular fuel, with E85 those figures drop to 11/16. With the 6-speed automatic, the 5.3 provides plenty of power and quick shifts, even with the Yukon’s 6,000-pound curb weight. In fact, the 6.2-liter engine in the XL and Denali Yukons has received complaints about being less refined than the 5.3, which operates without drama or excessive noise. Many have even said that the added power with the 6.2 was barely noticeable and certainly not worth the significant additional price paid at the pump. The Yukon can be set up with rear-wheel drive (RWD) or full-time 4-wheel drive (4WD) that can be left engaged on dry pavement. For real off-road chops, a 2-speed transfer case with low-range gear can be added as well. Wheel sizes vary from 17 to 20 inches and can seriously affect ride comfort. In general the Yukon is surprisingly car-like, especially for such a large truck. Over larger dips and swells, there is float and wallow to be encountered, but this is expected and actually mitigated well thanks to GM’s Autoride load-leveling suspension. Sadly, it does little to improve bump absorption, which is the big weak spot of the Yukon. Steering is also surprisingly light, especially at low speeds, and while this is nice in the parking lot, it can lead to oversteer at speed, which can be exciting in a 6,000-pound truck. The inside of the Yukon offers plenty of comfort. Tri-zone manual climate controls with rear air conditioning set the pace that’s followed by a Bose stereo, front bucket seats with 6-way power and a leather-wrapped tilt steering wheel. You’ll get Bluetooth, a digital media connection and USB, automatic headlights and heated power mirrors. The SLT adds rear obstacle detection, automatic climate controls, a rear-view camera and power-adjustable pedals that should be standard in all trims. Seats are high, supportive and comfortable even in the second row, although third-row seating should be reserved for children. Many find it frustrating that the third row doesn’t fold flat, but some utility had to be sacrificed to the god of luxury. Visibility is extremely good for the class, with only the immediate rear of the vehicle being blocked from view. The optional rear-view camera deals with this nicely and comes grouped in a Convenience Package for the SLE that adds a rear-obstacle detection system, power-adjustable pedals and remote engine start as well. Noise is kept in control from both road and tires, although the wind can buffet around mirrors on occasion. The Yukon’s long list of safety features includes a limited-slip differential, traction and stability control, 4-wheel antilock disc brakes, daytime running lights and 6 standard airbags. The National Highway Traffic Safety Administration has awarded the 2012 Yukon its top 5-star rating. The Yukon delivers luxury on par with its Escalade stablemate paired with a competent drivetrain and a nearly car-like ride. Its efficiency is becoming less impressive as the years pile up, but this is less of a concern in this class. Interior comfort is at a premium here, although some still complain of too many hard-touch surfaces. Too-light steering is a concern from both a feel and a safety standpoint, and should be addressed immediately. What's your take on the 2012 GMC Yukon? GuruC2CSF Generally speaking, we liked it and would have considered buying it, were it not for the factors mentioned above. 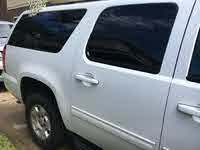 Have you driven a 2012 GMC Yukon? 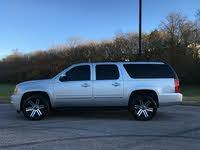 I'm looking at changing my 2012 GMC Yukon Denali second row captains chairs to bench. In black is this possible ? And where could I find them if possible thank you. Does the 2012 GMC Yukon XL with the SLT trim package have a cabin air filter. I can’t seem to find the location for it.